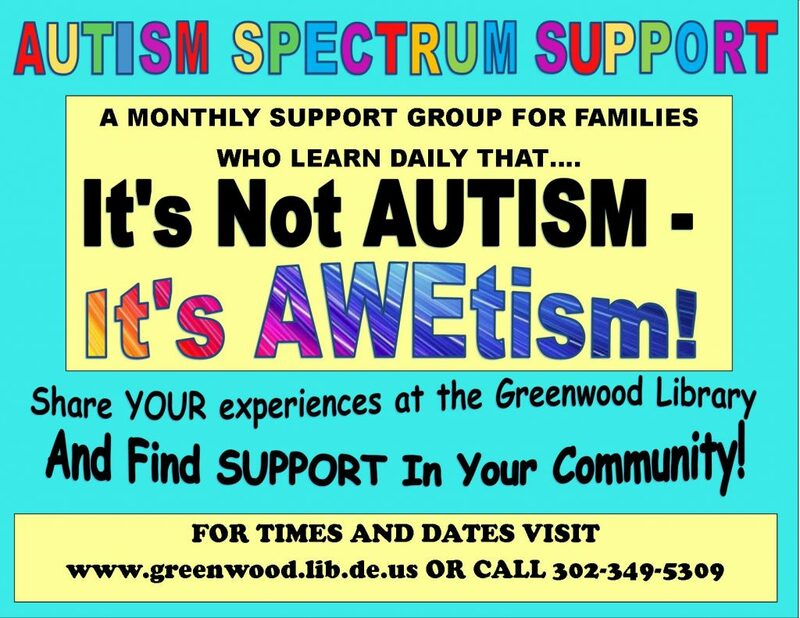 The Greenwood Library offers a monthly support group for families who deal with Autism Spectrum Disorder on a daily basis. Share your experiences and find encouragement with others in our community. This program is offered to the public free of charge. For times and dates see our Event Calendar or Call at (302) 349-5309.